LOGAN—Utah State University is taking online and distance education to newer and bigger heights with its new 40,500-square-foot Regional Campus and Distance Education (RCDE) building, which will begin serving students at USU and across the state and nation in fall 2012. “This building increases the capacity of the university to send more classes out and to deliver more education for people in the state of Utah,” said RCDE’s Robert Wagner, associate vice provost and executive director of distance education. “There will be opportunities for different teaching and learning experiences for students that will hopefully improve their experience,” he said. The multimillion-dollar, five-story building on 700 North, across from the Emma Eccles Jones College of Education and Human Services, will house RCDE offices on the top two floors, and classrooms, conference rooms, and a testing center on the bottom three floors, Wagner said. USU has recognized a need for more and better online course offerings, Wagner said, and many USU students take a combination of face-to-face classes on campus and through distance education. Last fall, 17.8 percent—or about 4,600—of USU’s nearly 29,000 students statewide were enrolled in at least one online course. The number of USU online students has increased 126 percent since 2006. The building will have eight classrooms and four smaller conference rooms equipped with interactive video technology for broadcast classes, each accommodating 25-78 students. 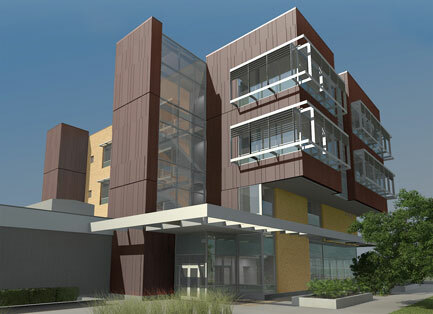 The new testing center will be triple the size of the current one, which is currently located in the basement of the Eccles Conference Center. An art wall on the outside of the building will depict different Utah landscapes. USU is partnering with the state Utah Education Network, which builds and supports the fiber optic network across the state that the university uses to deliver courses to students outside of Logan. 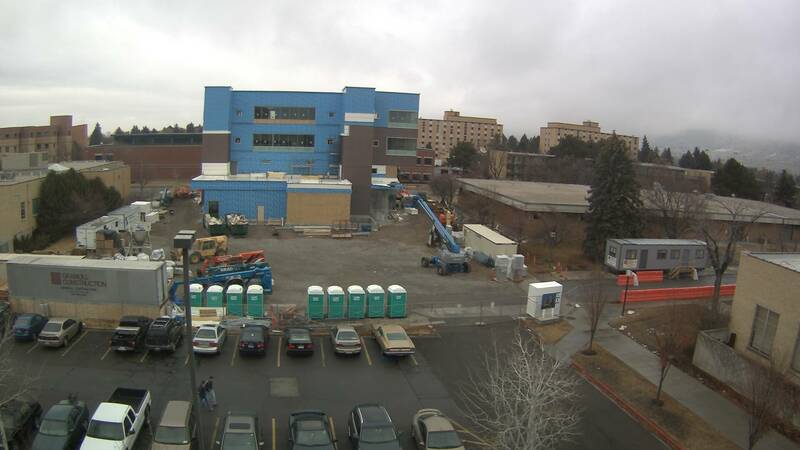 Funding for RCDE’s new building comes from USU and the distance education program itself. “We take the funds that come in from distance education and reinvest them right back into the technology and support that creates better teaching and learning experiences,” Wagner said. USU began providing distant education in the early 1900s by sending professors via train to Idaho and throughout Utah. The university has continued to support and offer distance education since then, Wagner said. Statewide, USU has just over 5,000 students working towards degrees via courses taught online and through interactive video, RCDE reports. Overall, the university offers 385 online courses, with about 200 being offered each semester. Students in all 50 states and in 50 different countries have enrolled in USU online courses. Interactive video classes, in which students at remote locations can watch and interact with instructors and classmates meeting at the Logan campus or other regional USU sites, are increasingly popular, Wagner said. A student can be in a classroom on the Logan campus, as their professor teaches from the Uintah Basin campus, while sharing the experience with other students in Moab, Price, Tooele, Brigham City or one of the other regional sites. Students and professors are connected through videoconferencing, and can see and talk with each other.